If a person who’s never traveled far from home asked you to name the one place they should visit on their one-and-only trip ever, what would you say? I got so many different answers! I’ll start with the country that got the most nominations: Italy, but in no particular order. Note: This post contains affiliate links. That means I’ll receive a small commission on anything you buy through clicking the links. This will not affect your price. I like to jokingly call Rome the place where civilization came from. It is covered in history and is one of the oldest continually occupied locations in Europe. While it is perhaps most well known for being the home of the Roman Empire, it is also home to the Vatican, is of historical importance for the World Wars, and is a very modern city. St. Peter’s Basilica in the Vatican City, Rome. Photo courtesy of Shannon Doyle. In fact, there is so much to see and do in Rome that you can easily find yourself mentally reaching capacity: unable to be amazed at yet another amazing thing. If you’re only going on one vacation in your life you will want it to be somewhere you can get everything. Rome does that for you. It has history, beaches, fantastic food, a great night life, beautiful people, art, hiking, sports, religion. It is also a great place to take day trips from. From Rome the train options are excellent and you’ll be able to go to places like Pompeii, Naples, Tuscany, Florence, Amalfi Coast, and so much more. If you were ever only going to go on one trip in your entire life, I would recommend you go to Rome. It has everything you’re looking for and more. 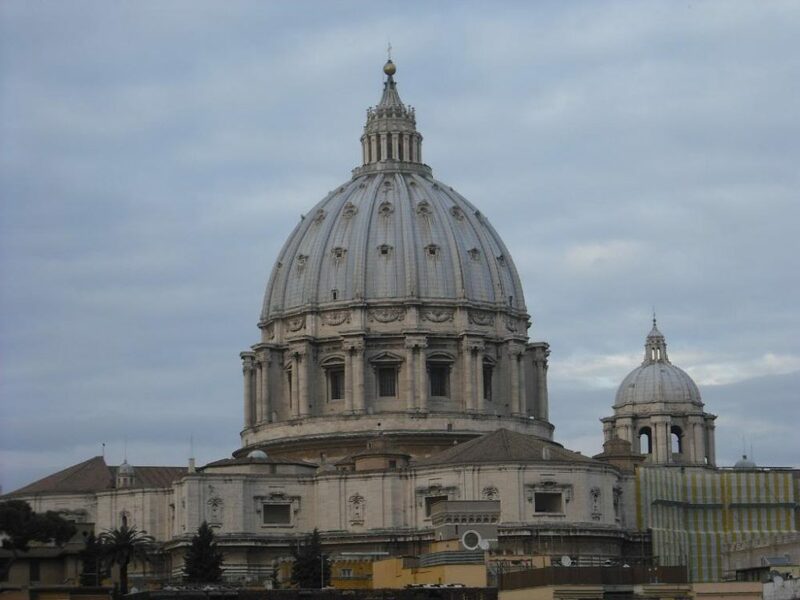 Click here for accommodations in Rome. Click here for things to do in Rome. Although Sardinia belongs to Italy, you’ll most often see the black, white and red flag that represents only the island. Here, you can enjoy simple, traditional Italian fare: heaps of pasta, top-notch pizza and hearty meat dishes; but the seafood along the coast is especially delicious. (I highly recommend squid ink pasta with shellfish in saffron cream.) Plus, some restaurants will gift you a complimentary glass of mirto to cleanse your palate at the end of your meal – dark liquor made from myrtle. And if you fancy rounding out your meal with dessert, creamy gelato in fruit or other sweet flavors is always easy to find. Cuisine aside, Sardinia boasts gorgeous beaches, and the water from shore to sea turns four shades of beautiful blue, from a light teal to deep sapphire. The island’s beaches vary from stretches sheltered by giant cliffs to broad beaches scattered across the La Maddalena islands and shallow beaches that border on pine forest. A one-day boat tour is a great way to see as much as possible during your stay. Inland, Sardinia also offers relatively easy hikes with rewarding views. 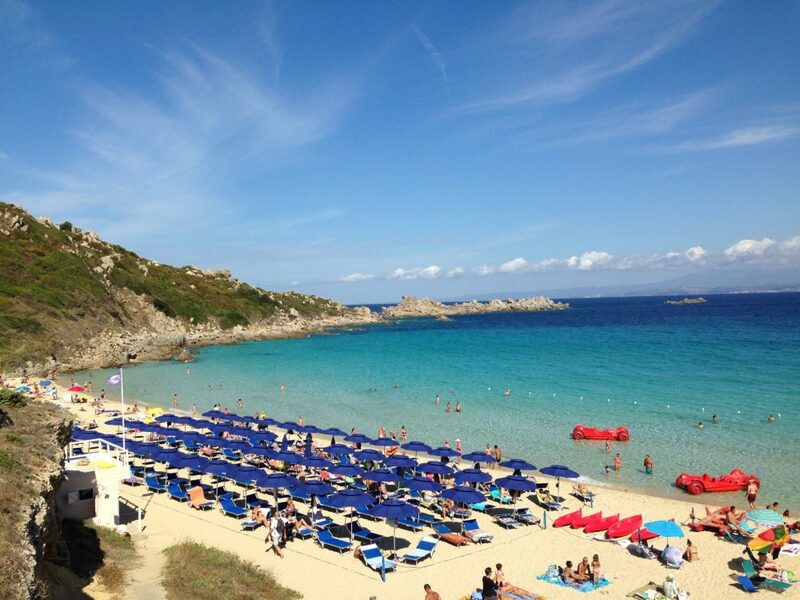 Click here for accommodations in Sardinia. Click here for things to do in Sardinia. Sicily is Italy writ large: it has everything the traveller could want. Occupied first by the Greeks and then by the Romans, it is unmistakably Italian but with Greek flavours. 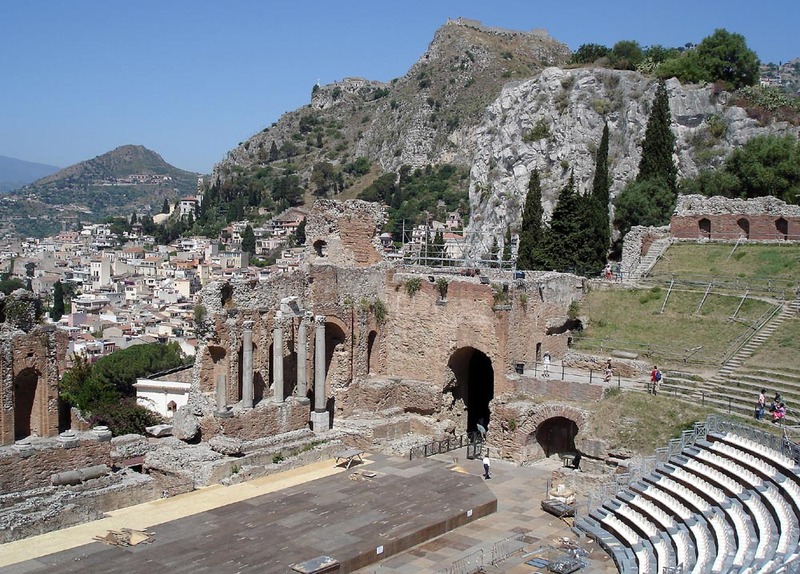 Historians will discover some of the finest Greek sites outside of Greece itself, and marvel at the amphitheatre in Taormina that played host to both civilisations. If your preference is for countryside, you can climb the mighty volcano of Etna or wade through the spectacular Alcantara Gorge. You can walk through olive groves and citrus orchards, and in the spring the island is a mass of colourful flowers. Or just enjoy the beaches with their shimmering sea and year-round sunshine. The Graeco-Roman amphitheatre of Taormina in Sicily, Italy. Photo courtesy of Karen Warren. Then there is the food: you’ll find all your Italian favourites here, but also local specialities like arancini (stuffed rice balls) or cannoli (pastry tubes filled with chocolate or mascarpone). Sit on a terrace in Taormina with a glass of local limoncello and gaze at the snow sparkling on the distant summit of Etna. You’ll start to agree with the poet Goethe that “Sicily is the key to everything”. Click here for accommodations in Sicily. Click here for things to do in Sicily. Locals we meet in Bologna often ask us why we return over and over again. We love the Italian lifestyle, in general—but even most Italians would agree that Bologna offers the best cuisine in all of Italy. 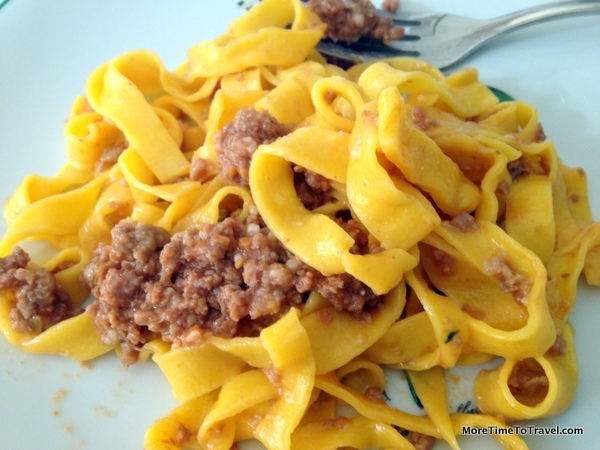 The city is especially known for its handmade egg pasta, hearty Ragù sauce, and melt-in-your-mouth mortadella (commonly known as baloney in America). It is centrally located, close to the small farms and factories in the Emilia Romagna region that produce Prosciutto di Parma, Parmigiano Reggiano cheese and Aceto Balsamico Tradizionale. You can take cooking classes at the Culinary Institute of Bologna (CIBO), choose from an array of formal restaurants and informal eateries, or learn home cooking recipes from a network of cesarine. A lively university town, Bologna is home to the oldest university in Europe and boasts 25 miles of architecturally interesting porticos (arcades) lining its streets. Its beautifully-preserved historic center is a car-free zone, made for walking and people-watching in the Piazza Maggiore, one of the most beautiful public squares in Europe. While its cultural riches may fall somewhat short of larger cities like Milan, Florence or Rome, Bologna is more affordable, has fewer queues and tourists, and is easier to navigate. A little editorial comment here: Bologna is all about the food! Read my review of an all-day food tour I took in Bologna. Click here for accommodations in Bologna. Click here for things to do in Bologna. Positano, Italy. Photo courtesy of Judy Krell Freedman. Positano is a paradise with beautiful views of the Amalfi blue waters and fantastic Mediterranean food. It’s a perfect spot to relax. The scenery is magnificent and there are superb restaurants, lots of shopping, and villas you can rent for a week or more. It’s a few hours’ train ride from Rome. You will get plenty of exercise climbing the steps up and down to the beach. Enjoy! Click here for accommodations in Positano. Click here for things to do in Positano. Every summer, the renowned summer arts festival takes place and Avignon is the perfect town to savour legendary Chateauneuf-du-Pape and rosé wines as well as culinary favourites such as tapenade, ratatouille, aïoli, soupe au Pistou, and Bouillabaisse (fish soup/stew). Be sure to visit the town’s markets, where fresh produce, meats, fish, breads, olives, herbs, spices, and flowers are sold. There is one held outside and another inside Les Halles, a covered market where you can also have a meal. Click here for accommodations in Avignon. Click here for things to do in Avignon. We often recommend Barcelona to anyone who hasn’t been to Europe. It’s slightly smaller and not as intimidating as Paris or London. Your first glimpse of the surrealistic art of Antonio Gaudí will let you know you have arrived somewhere special. His famous Sagrada Família cathedral, still a work in progress, is breathtaking. A stroll through Parc Guell where Gaudí lived toward the end of his life will become a favorite travel memory. The Picasso Museum and the Joan Miró Museum are also world class. Located on the coast of the Mediterranean Sea, Barcelona’s temperate climate and friendly people will immediately make you feel welcome. The most important reason we chose Barcelona is the food. 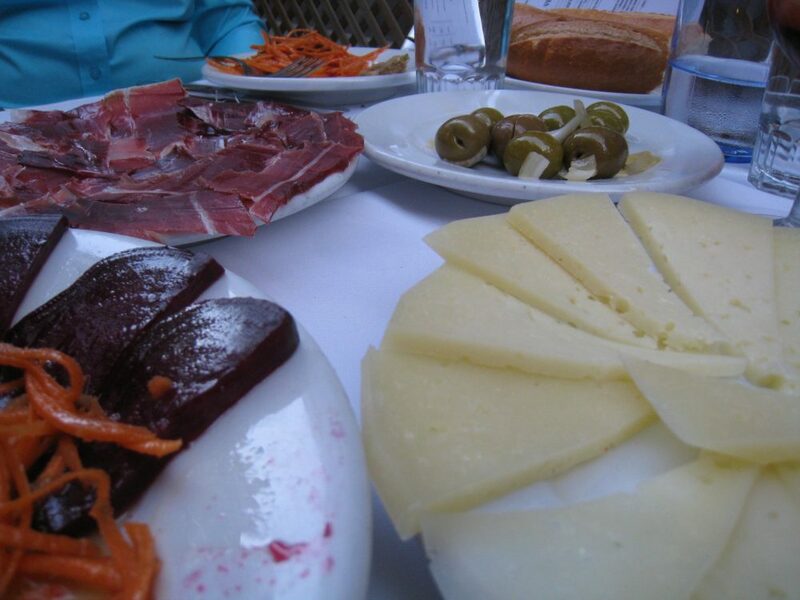 Their tapas or small plates make it easy to try many Spanish dishes. Stroll down Las Ramblas and stop in La Boqueria, one of the largest food markets in Europe. You can spend the entire day walking and exploring Barcelona, going from one tapas bar to another, sampling the best each has to offer. Some of the more popular choices are Iberico jamon, manchego cheese, grilled octopus, calamari, chorizo, patatas bravas (potatoes with a spicy tomato sauce), olives and many, many more. All can be perfectly paired with a glass of local sparkling cava or Spanish wine. My mouth is watering just thinking about returning. Click here for accommodations in Barcelona. Click here for things to do in Barcelona. Just one of the many quotations, poems and songs about this wondrous city of Granada, set in Andalucía in southern Spain. A walkable city, in Granada the magical and romantic Alhambra palace presides over a warren of ancient streets, including the labyrinthine Albaicín that runs from Plaza Nueva to Sacromonte Abbey (worth the climb or the €1.20 bus to the top for the view alone). Jewish, Moorish, Christian: the melting pot of Granada’s history shows like a slipped petticoat at every turn, in its architecture, art, music, and atmosphere. Hear the work of Paco de Lucía from street guitarists, the thunderous pound and passion of street flamenco. Listen carefully for the whisper of the ghost of Federico García Lorca. Enjoy the tasty and plentiful tapas – traditionally served free with your drink – but most of all, savour Granada, a most magical city for a first-time visitor. Be warned, once it has woven its Spanish spell, Granada is always a city to return to. Click here for accommodations in Granada. Click here for things to do in Granada. Iceland is paradise. Not the paradise one usually envisions when hearing that word. It’s not full of palm trees, or crystal blue waters, or white-sand beaches. Rather, it’s home to film-worthy landscapes, black sand beaches, numerous waterfalls, the aurora borealis, and even elves! Iceland’s paradise is for adventurers and explorers; those who desire to be alone with the unique beauties of the landscape that Iceland boasts. Check out active volcanoes, walk behind waterfalls, and take a dip in any of their natural hot springs. Drive the Ring Road and the Golden Circle and explore the unpaved roads that wind wistfully through the countryside. Take epic selfies to preserve your epic memories. Whatever you do, just go. 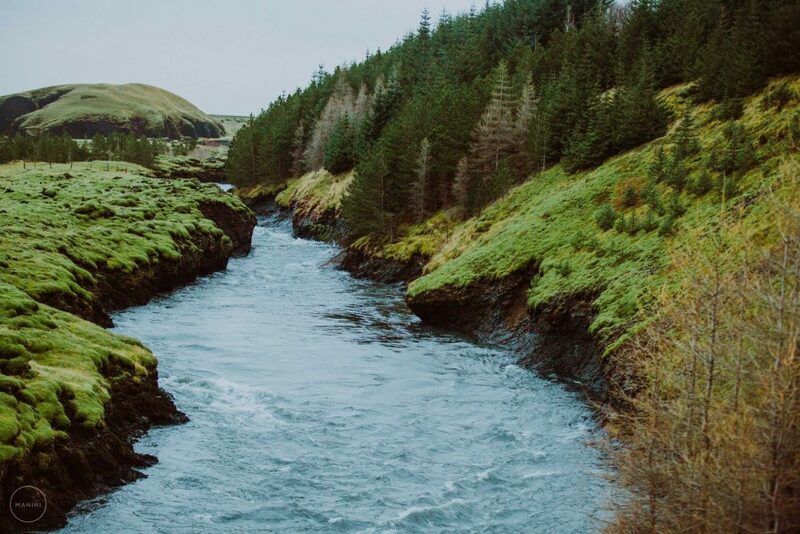 Go to Iceland, the land of elves, Vikings, mystery, and beauty. Click here for accommodations in Reykjavik. Click here for things to do in Iceland. If you’ve never traveled to Europe and you’re only going to get this one chance to visit and only one place, well, to my mind there is only one place to go: London! I’ve been there countless times myself and never get enough of it. In fact, I’m overdue now for a visit and am planning to go again later this year. I adore this city and the people. I love the accents, and visiting is especially carefree since they speak English! While I’m there, l’ll be buying cotton undies at Marks & Spencer department store, perfumed body talc at Harrod’s, and tea leaves at a favorite shop (I hope it’s still there). I’ll also have afternoon tea somewhere wonderful, and attend several plays. And I’ll probably do as I’ve done in the past and stay part of the time in an atmospheric splurgy hotel and part of the time in an inexpensive B&B. And I’ll definitely eat some Indian food, some fish & chips, and some pub food in a local. OMG, I can hardly wait! Click here for accommodations in London. 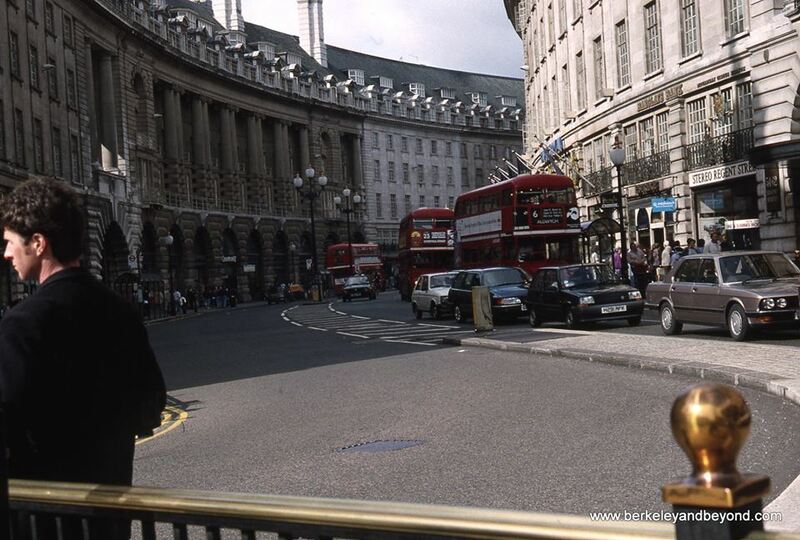 Click here for things to do in London. Perth is like the forgotten middle child – perhaps because it’s so far away. But it’s the quiet achiever, secretly boasting some of the best landscapes, food and activities in the world. 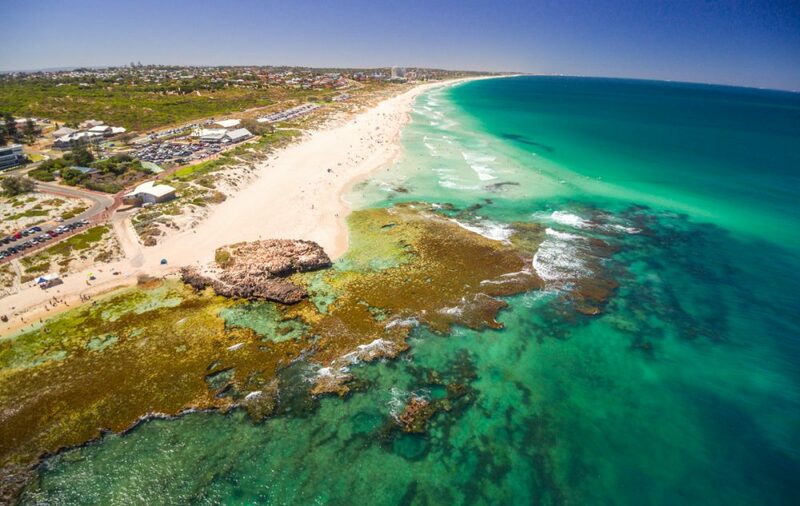 With stretches of world-class beaches (think isolation, crystal clear waters, fine white sand, vibrant reef and ample marine life), Perth will turn you into a beach person if you aren’t one. Every activity from land to sea is available and the diverse arts scene offers enjoyment to all lovers of music, theatre, culture and entertainment. People of all ethnicities call Perth home, so it’s no wonder that you can find delicious cuisines from all over the world. Christmas is filled with BBQs, seafood, shorts and thongs (flip flops) and Sundays are dedicated to Sunday sessions (afternoons at a bar to have a couple of cheeky drinks with mates). The people are friendly and like to take the piss (look it up). You’ll introduce yourself and immediately have your name abbreviated. Sharon? Shazza. David? Dave-o. Simon? Simo. You get the point. It’s all about having a good time so it’s hard not to love this place. If I could only ever go to one place, this is where I’d go. Every. Single. Time. Click here for accommodations in Perth. Click here for things to do in Perth. A great day out if you are visiting Sydney, Australia is to travel Sydney’s stunning harbour by ferry from Circular Quay to Manly. On the way you can photograph Sydney’s two icons – the Opera House and the Sydney Harbour Bridge. As you disembark, head down towards the Corso (pedestrian walkway) and make your way to Manly Beach. Take some time to admire one of Sydney’s stunning beaches and then turn right and follow the pathway along the shore to Shelly Beach. You will feel as if you are in Positano or Sorrento in Italy. The water is turquoise blue and the rocks glisten in the sunshine. See if you can find the silver sculptures along the path. Treat yourself to lunch or just a coffee while admiring the view all the way up to Whale Beach, especially if it is a clear day. You may even see a water dragon sunning itself on a rock along the pathway. On your return, enjoy a sunset cocktail at the Wharf Bar, adjacent to the ferry terminal, and just take in the beauty of our hometown. You will want to return! Click here for accommodations in Manly. 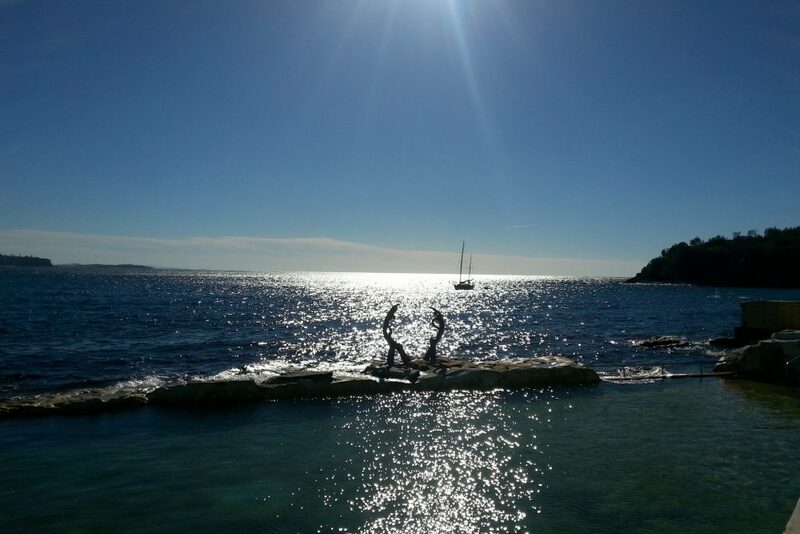 Click here for things to do in Manly. When asked where would I go if I could only visit one place in the world, my first thought was New York City. Then after a few minutes of thinking, I decided that Chiang Mai is the one. Different enough from my own world to be new and exciting whilst still welcoming enough to immediately feel like home, Chiang Mai is the perfect place to experience the culture of Thailand and settle into their way of life. From beautiful scenery to breathtaking temples, you’re never short of a spectacular view. Even just shopping at the night bazaar is an experience in itself. 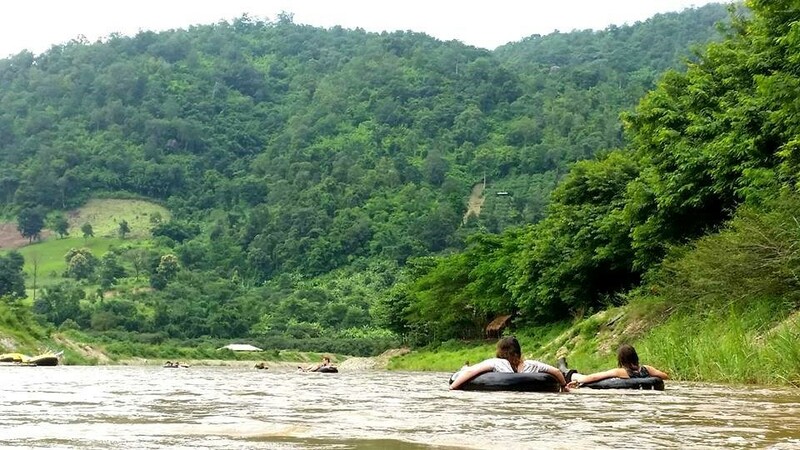 Take a trip to the hills to hike through rainforest, stay with indigenous tribes and help promote ethical animal tourism before returning to laid-back life in the city. The people are some of the nicest you’ll meet and the culture is admirable. What better place to visit? Click here for accommodations in Chiang Mai. Click here for things to do in Chiang Mai. 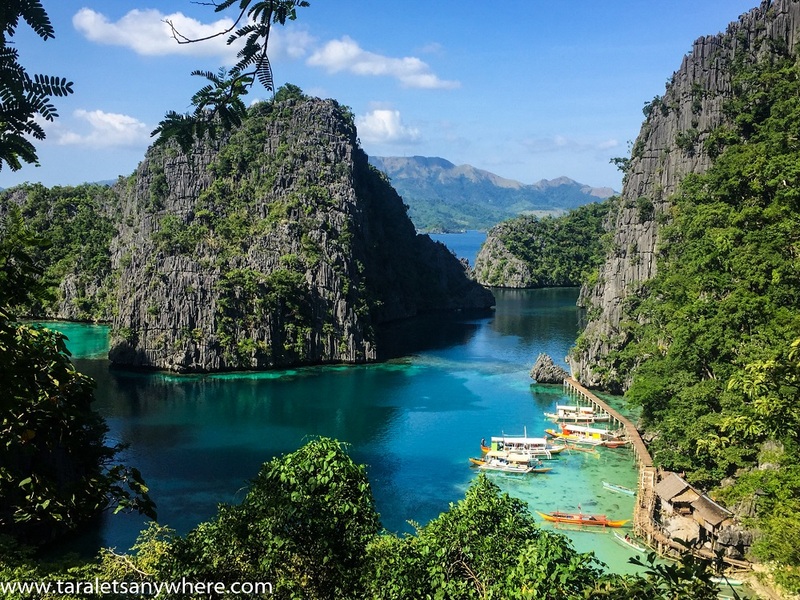 Coron, Palawan, is perhaps one of the most beautiful places a world traveler will be lucky enough to set foot on. Its photos online are mesmerizing, but the actual experience of being there is so much better. Coron has green and icy-blue lagoons, beaches set in islands or in tiny nooks of limestone karsts, and clean lakes. In fact, one of its seven lakes, Kayangan Lake, is considered the cleanest in Asia. Coron is perfect for relaxing or adventure trips. For adrenaline junkies, there are snorkeling and scuba diving activities. There are shipwreck sites and a long stretch of coral garden. For night activity, there’s a sulfur hot spring resort whose water is sourced from a volcano. Coron is special to me because before my trip here, I didn’t know that a province can be well known and at the same time effectively preserved. Natural attractions are cared for by the local Tagbanua tribe and the local government. With its beautiful natural attractions, Coron in Palawan is truly one of a kind. Click here for accommodations in Coron. How can an 11-square-mile island surrounded by a lagoon and a barrier reef be worthy of my choice as the destination of a lifetime? First, there is the lagoon and its unending shades of blue. The main island of Bora Bora is surrounded by an 18-mile ring of islets called motus encircling what author James Michener called “the most beautiful lagoon in the world.” Countless others have been spellbound by it, including me. I am speaking of Bora Bora, one of French Polynesia’s Society Islands, located in the Pacific Ocean, midway between Los Angeles, California, and Australia. Bora Bora is 148 miles northwest of Tahiti, the main island of French Polynesia, where journeys to this tiny speck in the Pacific Ocean begin. Aerial photos of Bora Bora had fascinated me for years. It represented that ultimate exotic place in the tropics, halfway around the world, almost unreachable. Along with its protected lagoon and barrier reef that surrounds the main island, a mountain, Ote Manu, rises as the focal point of the mainland. Bora Bora huts. Photo courtesy of Debbra Dunning Brouillette. 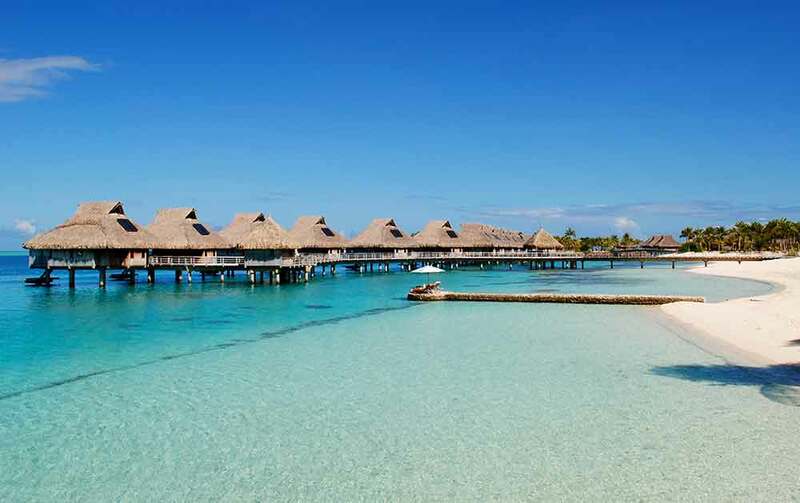 If you go, make sure you book a stay in an overwater bungalow, a standard feature of most Bora Bora resorts, such as the one I stayed in, the Conrad Bora Bora Nui. Wherever you stay, the magic of Bora Bora is sure to draw you in. For the early Polynesians it was a place of exile for outcasts. It is no longer a place to be banished, but to banish oneself — to totally unplug from civilization. Click here for accommodations in Bora Bora. Click here for things to do in Bora Bora. We have been fortunate to visit many great places all over the world, but we left our hearts in South Africa and particularly in the Cape Town region. Cape Town is a beautiful cosmopolitan town with a wonderful atmosphere and lots to do for young and old. But what makes it really special is the city’s amazing location and the incredible nature that surrounds it. Where else in the world can you see penguins in the morning, go surfing or hiking at noon, do a safari ride in the afternoon, and watch whales or dolphins from ashore at sunset! Add to that the relaxing atmosphere and great food accompanied by some of the world’s best wines, and you cannot go wrong with choosing Cape Town for your next vacation. South Africa is often referred to as “the world in one country” and it most definitely is. If you don’t travel much, but are looking for a really special destination, I can truly recommend South Africa. It will exceed all your expectations! Get inspired – see some of our favourite pictures from South Africa. Click here for accommodations in Cape Town. 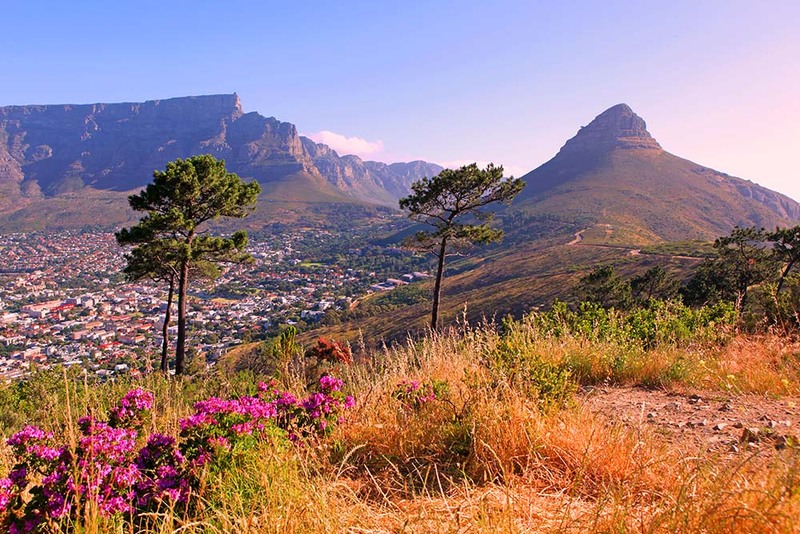 Click here for things to do in Cape Town. 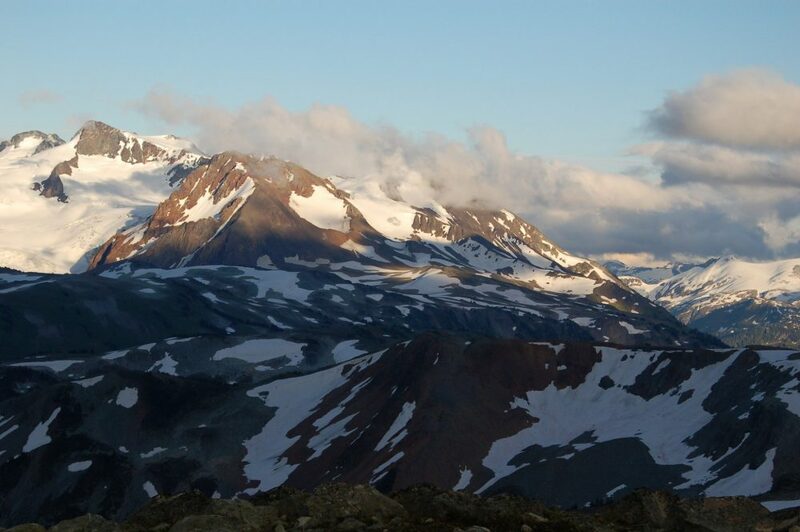 If you could only take one trip in your lifetime, I would suggest heading to Vancouver, British Columbia. Not only does it have numerous award-winning restaurants and hotels, it is by far the most diverse city when it comes to urban and, especially, nature experiences. You can find yourself in the hippest music venue listening to cutting edge bands one night and be fly-fishing for salmon on world-class rivers the next day. You can be skiing in Whistler or surfing in Tofino within hours. Click here for accommodations in Vancouver. Click here for things to do in Vancouver. Rightfully placed as one of the Seven Natural Wonders, the Grand Canyon is NOT a “hole in the ground.” I completed my third hike to the bottom of the canyon this summer and have traveled to the rim at least a dozen times while living in Arizona. When I need a reminder of perspective and my place in this world, I stand on the edge of the rim. Whatever problem I’m facing I can work through there. The word “awesome” was created for the purpose of describing the canyon: it truly inspires awe. 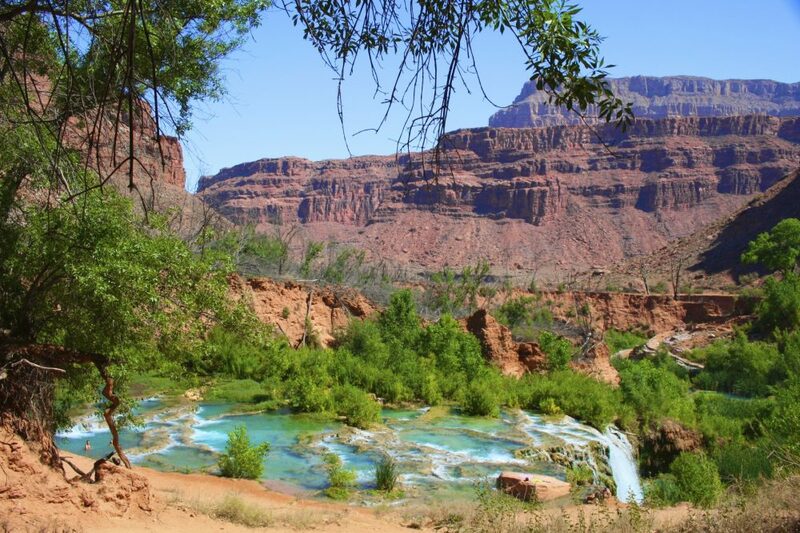 The canyon pushes me to my physical limits, whether hiking rim to rim, down to the river and back up switchback after switchback after switchback, or wading through streams and waterfalls in a desert oasis to hear my voice echo off canyon walls…. I’ve given my blood, sweat, and tears to its rugged beauty. Click here for accommodations near Grand Canyon National Park. 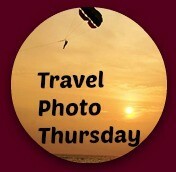 Click here for things to do in, above or near the Grand Canyon. Putting this collaborative post together made me think about what I would say in this situation if someone wanted a recommendation for one trip ever. I thought of lots of different places, but I kept coming back to San Francisco. San Francisco has to rate as one of the most beautiful cities in the world: the way the Victorian and Edwardian buildings climb the hilltops, painted in bright colors; the views in all directions from those hilltops; the Golden Gate Bridge; Golden Gate Park; Alcatraz; the Pacific Ocean; and so much more. I could go on and on about how much there is to see and do: museums, monuments, street fairs, theater, music. You simply could not get bored. As for food, pretty much everything and anything is available and authentic. 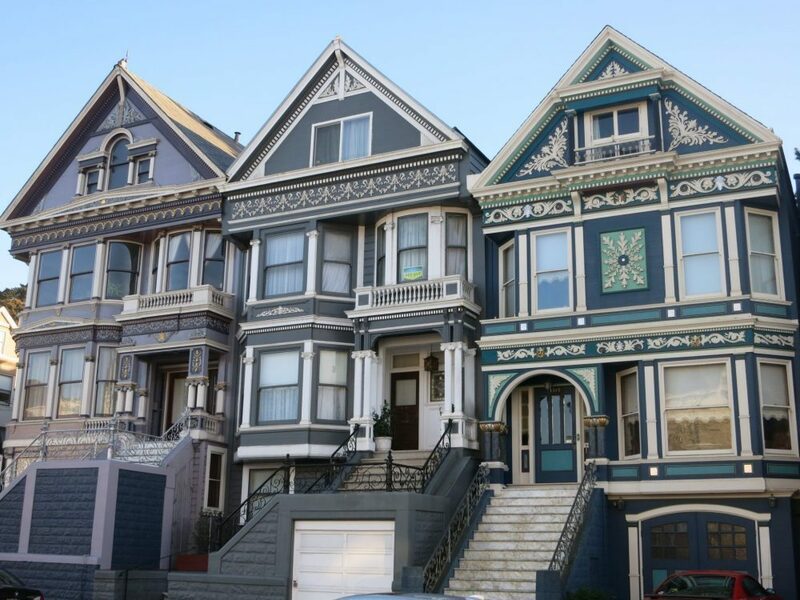 Some pretty Victorians in San Francisco: these are in the Haight-Ashbury. And I could go on and on about how wonderfully diverse and crazy and true to themselves San Franciscans are, and how accepting and embracing of all that diversity and craziness and truth they are. Click here for accommodations in San Francisco. Click here for things to do in San Francisco. Diverse, dynamic, and colorful, Mexico City – capital of the ancient Aztec Empire – is unique. Blending the old and the new, this scintillating metropolis – founded in 1325 as Tenochtitlán – is the crown jewel of Mexico’s amazing cultural heritage. At the heart of the city, the impressive main square, or Zócalo, and surrounding Historic Center sit on the rubble of that ancient empire in silent testimony to its former glory. Today, trendy bistros, fine restaurants, designer boutiques, ultra-luxurious hotels, and some of the liveliest nightlife in the world promise modern pleasures, while a host of museums bursting with archaeological treasures and exquisite works of art showcase the city’s venerable past. Sleek skyscrapers soar alongside posh palaces, castles and convents, replete with ancient artifacts highlighting the splendors of the colonial era, while colorful markets burst with exuberant colors, forms and figures by Mexico’s contemporary artists and artisans, showcasing its whimsical side. For visitors interested in the culinary arts, the nation’s capital will not disappoint. Gourmets and gourmands delight in the variety of tastes and flavors dished up in the city’s bistros, taquerias and fine restaurants – some located in beautifully restored haciendas and colonial buildings. 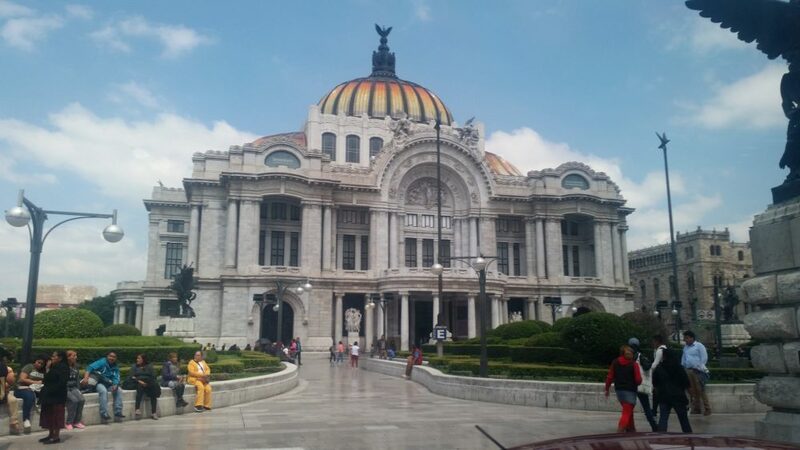 Click here for accommodations in Mexico City. Click here for things to do in Mexico City. Our list, then, is dominated by Europe, and Italy takes the gold with five nominations. If you’re still having trouble choosing where to go, read this article with lots of advice on how to choose! Now it’s your turn: does this list affect your “bucket list”? Is there someplace you would add to the list? Add your comment below! Great selection, Rachel. Lots of inspiration. Thanks for featuring us! Great article – lots of places to add to our bucket list. Love this post! All the destinations are places I’ve either visited or hope to see. Anywhere in Italy or Spain works for me, but What about Israel? The population of this small country rose from the ashes of the Holocaust, and is a symbol of survival, if there ever was one. There is so much diversity in landscape, culture, religion and cuisine. Where else can you find vineyards and commercially-grown herbs growing in the desert, the holiest places of three major religions within walking distance of each other, historical sites that go back farther than we can imagine and the best damn falafel on the planet? Very good point! It’s such a fascinating place! Thank you for including The Manini Experience! This was so fun to participate in! Great list of unique destination, Rachel. I’ve seen many of these places and I would surely love to see all of them, especially Cape Town. But if I were to pick just one destination from this list it would probably be Coron, Palawan, in the Philippines. What a spectacular place! I’ve never been there, but I’d love to go! Some great suggestions here. So glad to see a lot of North Americans opting for the historical European places. Shame no-where in Greece was mentioned. The country is amazing! That surprised me too; I expected, when I put out the call, that someone would claim some part of Greece, like Santorini, for example. And right now it’s a real bargain destination too. Italy is on our travel itinerary for a road trip and exploration this Spring so it was great to read so many recommendations of amazing places to go. I’d definitely agree with the writers who thought Barcelona and Granada,Spain should be included in your list of epic places to go and, after a recent trip to Seville, I’d include that city as my suggestion. And for future trips that will go on my “must see” list? French Polynesia, Iceland and Cape Town have all been added. Great idea for a post, Rachel and filled with some great information and recommendations! Yes, I’m afraid it added quite a bit to my list too! Enjoy Italy this spring! I’ve been to Uluru and I get what you mean, but you’d have to include other parts of Australia, in my opinion, to make it the trip of a lifetime! Thanks so much for including FranceTravelTips and including so many great places to discover. I’ve been to several, but I think Positano would be next on my list! Thanks for featuring me! Apart from the Italian destinations my favourite place on this list is San Francisco – one of the best places ever. 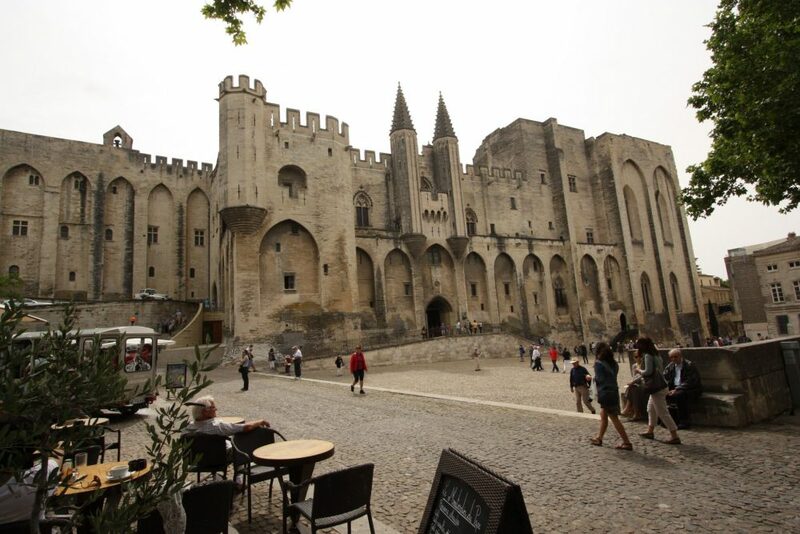 And the one I haven’t seen but would most like to visit is Avignon – the history and the food look amazing. I haven’t been to several of them, and the ones that appeal to me the most involve beaches and the sea, perhaps because it’s cold here right now! Thanks for contributing! This is an enjoyable read. My own contribution was London, which I do so adore. 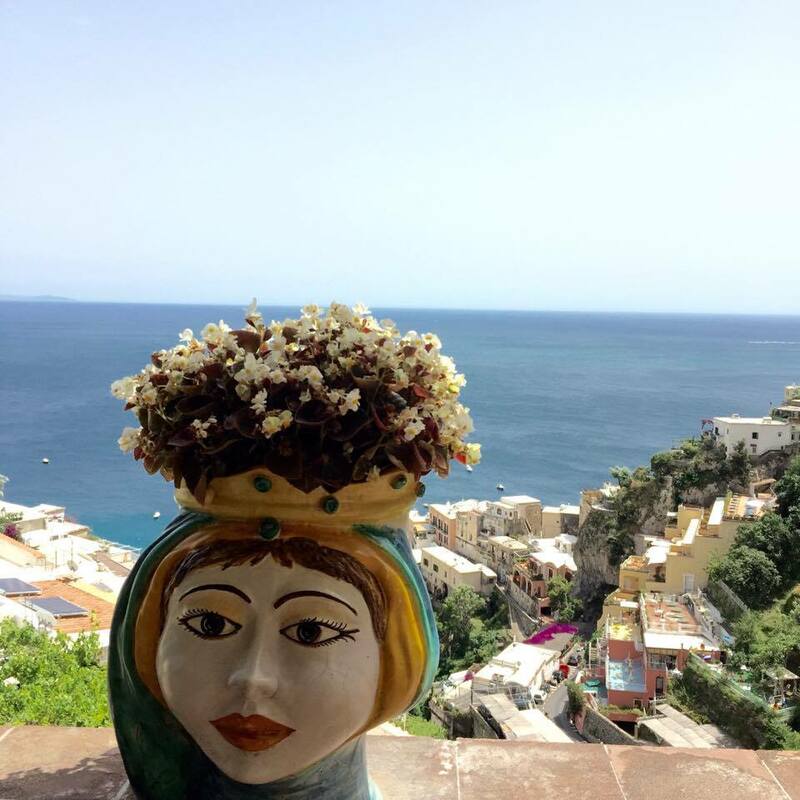 Judy Krell Freedman’s image for Positano moved that spot up on my own bucket list. This list seems to be affecting a lot of bucket lists! Rachel, Thanks for doing this! While we are on a path for the next 15 years to do all of our ‘trips of a lifetime,’ and have our list, this makes me think about a few other places. We have been to several mentioned here already, and loved all of them. In 2015, we did our ‘Galapagos, Trip of a Lifetime.’ This year we are doing our New Zealand, Australia, and Pacific South Seas, Trip of a Lifetime.’ You can read about our 4 months of adventures at http://www.adventurousretirement.com/. Thanks for the food for thought on other places to consider! I should have chimed in about our honeymoon trip to Peru. We now have several trips of a lifetime: South Africa, Southeast Asia, Iceland and Peru. But the rule was ONE trip. Which would you suggest? Thanks so much for including me in this round-up. I’m really surprised that there were no other Mexico entries and nothing about South America! I think that people need to expand their horizons! I know! I thought the same thing! And no Greece and no Jerusalem and only the one place in Africa. To be fair, though, I challenged them to choose ONE place, and people can only choose where they’ve been… I think travel bloggers’ horizons are plenty expanded; the problem is, much as we’d like to, we can’t visit everywhere! Wow! So many terrific places on this list. My must-travel-to list just grew twice as long. Thanks for including our suggestion of Barcelona. It was so difficult to pick just one. Wow. So many places to see. I’ve only been to 3 of the places on the list and would be delighted to travel to any one of the places mentioned. I’d have a hard time picking just one spot for a trip of a life time. Me too! 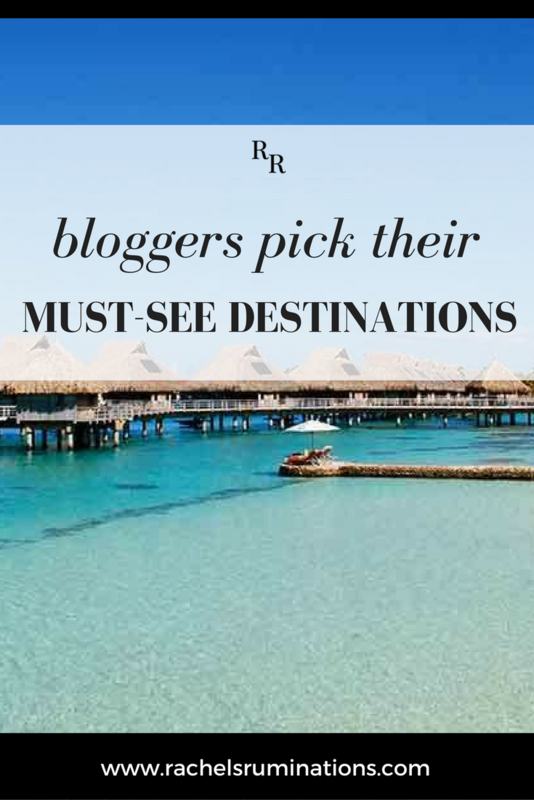 I’ve been to 9 places on the list, including my own choice, but I want to see all of the rest! I love that 5 of these places are in Italy! I would’ve said Rome for sure, as well, but many of the other destinations are part of my own bucket list, too. The list could be so much longer  I don’t know why North America isn’t more of a destination, Canada and the US are so vast and differing in the landscape and cultures within but I guess not exotic enough for the average traveler. It’s not a scientific poll. I posted the collaboration request on two facebook groups for travel bloggers, and this is what I got back! If I’d asked more people, I suspect I would have gotten more places in North and South America. Great collaborative post and certainly a variety of ‘trip of a lifetime places’. Nice job putting this one together! Great post by lots of great travelers. 1. For safety and security, give a copy of your itinerary and emergency phone numbers to a loved one back at home. 2. Make a packing list to ensure that you don’t forget to pack what you need. A packing list also allows you to only pack the necessary items for the trip so you don’t have to bear with extra weight. I think you meant to add this to a different post of mine called 10 Travel Risks Not Worth Taking or perhaps the one called 25 Real Tips for Women Traveling Alone. In any case, these are excellent tips!